Visiting Cusco was an easy decision to make whilst working on my itinerary for Peru this summer. Once the historic capital of the Incan Empire, it is now known as the gateway to the Sacred Valley as many people stop here before starting their journey to Machu Picchu. This amazing city is more than just a convenient place to stop and it is worth a visit in its own right. 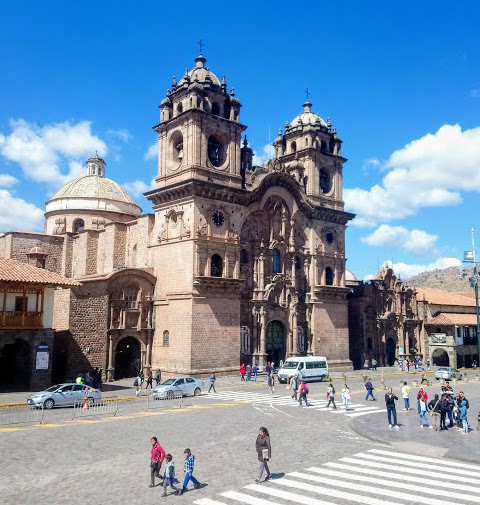 However, if you have a tight schedule to work with you may only have a short amount of time to explore what Cusco has to offer. 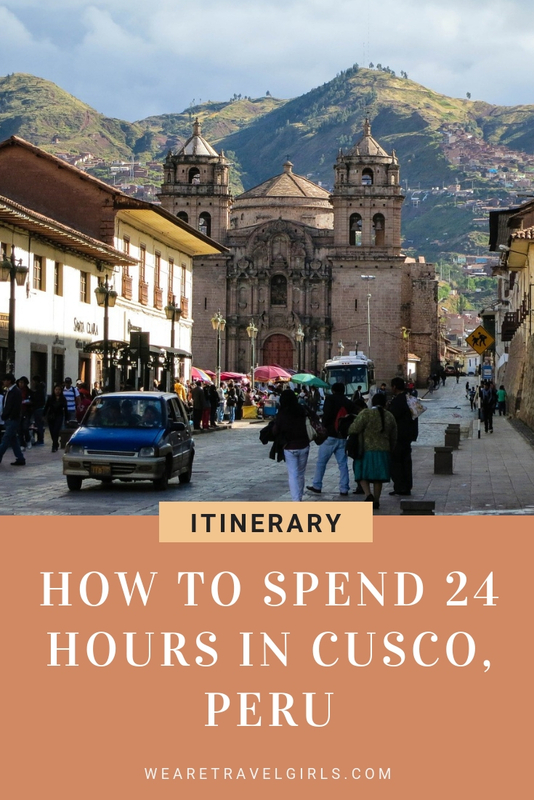 To help out, I wrote this guide to find out where to stay and what you can see and do with just 24 hours in Cusco! 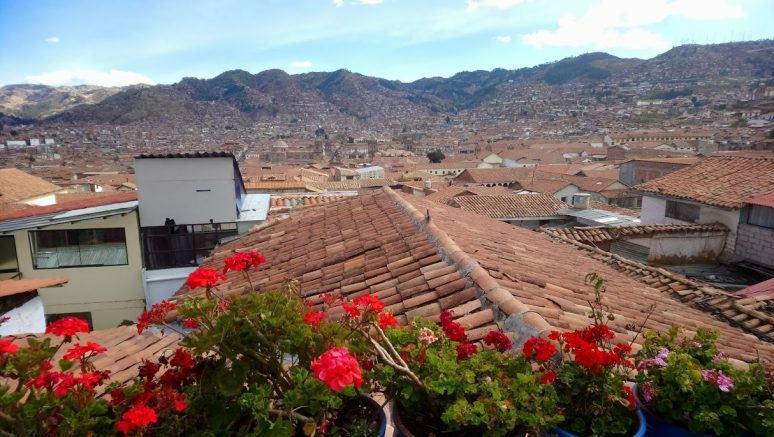 Most people heading to Cusco are probably on a tight budget and looking for somewhere basic to stay, and there are plenty of hostels in Cusco for you to choose from. I recommend using the Hostelworld app. Make sure you look at reviews to find a Hostel that suits your needs, unfortunately the Hostel I had chosen did not meet my expectations. 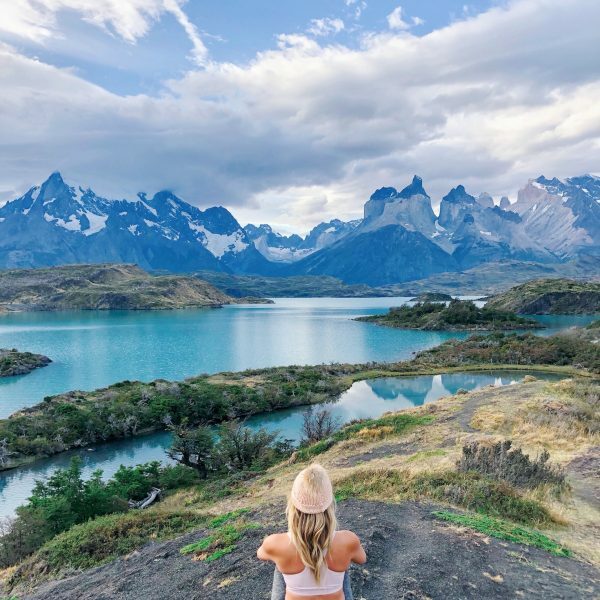 However, a lot of travellers choose to use The Flying Dog Hostels as they are a good, safe and trustworthy chain of hostels if you want something basic but reliable. If you are looking for some luxury I recommend staying at the Garden of San Blas, as the rooms are beautifully decorated, spacious and definitely luxurious. There is a little garden area with an amazing view out over the city and the breakfast was extensive. I am talking pastries, breads, cakes, fresh juices, tea and coffee, a chicken soup (yes I said soup) and eggs any way you like. Staying here was such a treat and a well-deserved break from the night buses and hostels I had been used to using on this trip, allowing for a good relaxing sleep before heading into the Sacred Valley. The owner was eccentric but helpful, always on hand and happy to organise anything you needed and an airport transfer was included with the stay, a lovely added bonus. 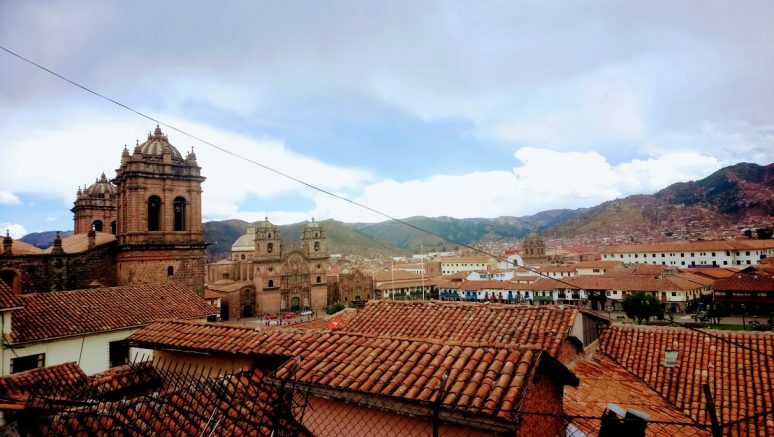 A lot of the hostels in Cusco will offer a basic breakfast with your stay, but I suggest heading out and exploring what the rest of Cusco has to offer. There are plenty of little cafes offering amazing breakfast options. 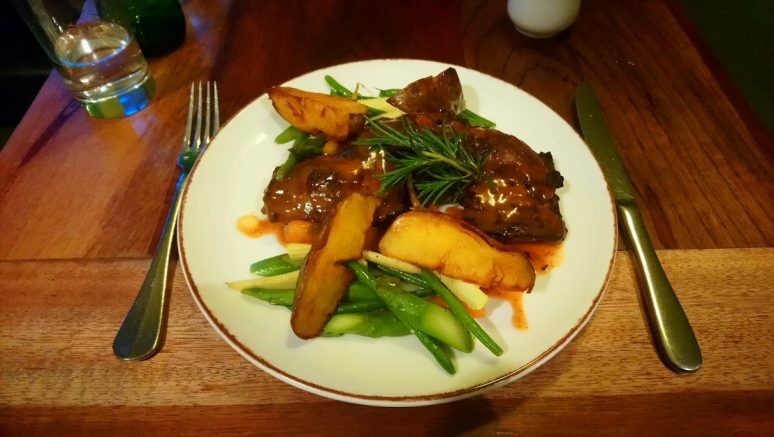 I headed to Jacks Café which I had seen recommended when researching my trip. This place is always busy, but with only a 5-minute wait for a table at peak breakfast time, it was worth the wait. 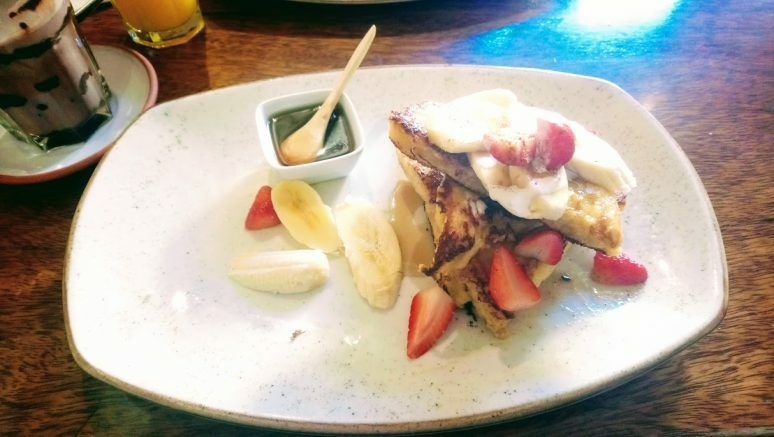 The menu options are similar to what I am used to in the UK and I opted for a Hot Chocolate and some Banana French Toast. I was not disappointed with the delicious stack of food that kept me full for most of the day and cost me roughly 30 soles (£7-8). 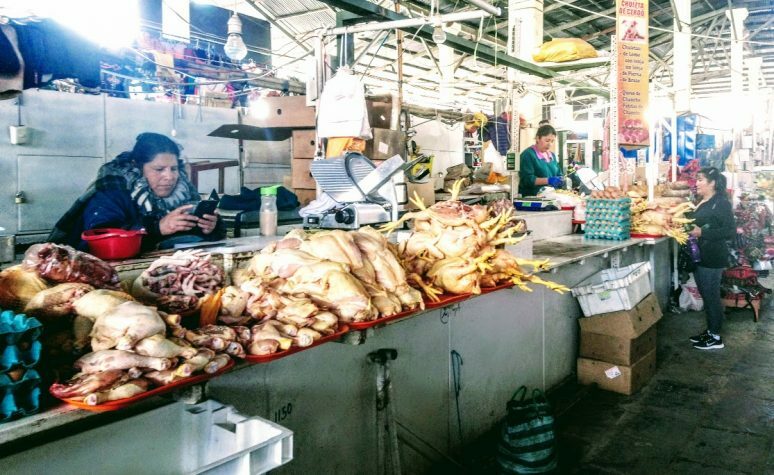 I love visiting markets when I am exploring a new place and the San Pedro Market has to be one of my favourites. 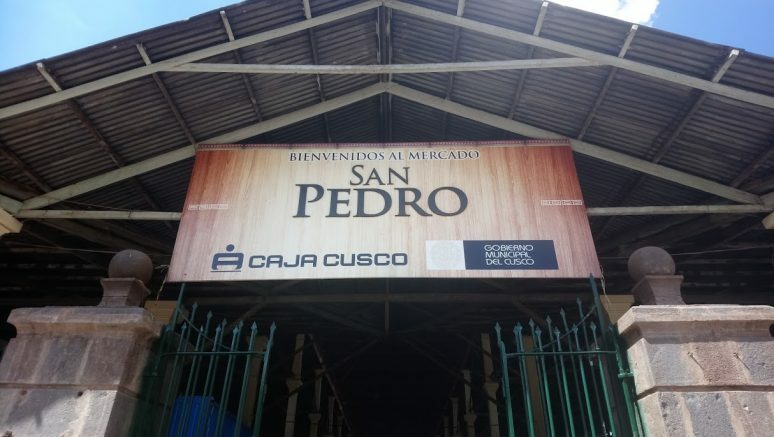 Located about 5-10 minutes from the Plaza De Armas, even the view from outside the market is impressive. As you walk in the front entrance you are met with hoards of people and there are hundreds of market stalls. If you are still in need of some classic Peruvian souvenirs then I recommend getting them here. The stalls are all competing for customers and are therefore offering the lowest prices, and I managed to pick up a jumper here for only 30 Soles (£7-8). If you have a fairly strong stomach make sure you continue to walk through the food stalls for a bit of a culture shock. There you will find everything from whole pigs, to chickens, to large tubs of unknown substances, and more. 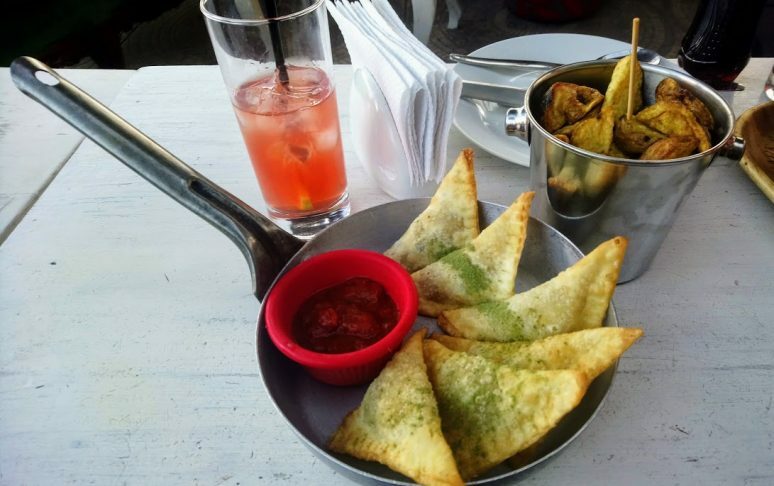 I wish I had a chance to try some of the food or juices on offer in the market but I was still full from brunch. Every city in Peru has a main square and I personally think that the Plaza in Cusco is one of the best. These Plazas are lovely central squares with plenty of greenery, flowers, and benches to sit on and admire your surroundings, which includes the impressive Cathedral and the Church la Compañía de Jesús. 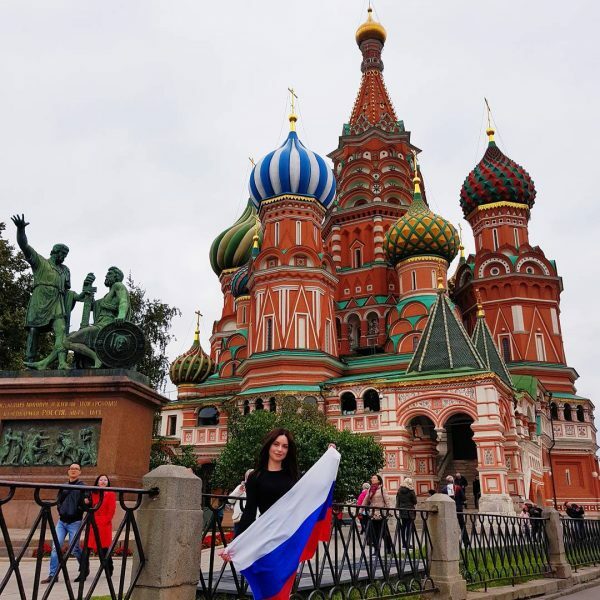 On the day I visited a festival was being celebrated at the Cathedral, with locals in their traditional dress, dancing and throwing confetti which I felt very lucky to experience. These festivals are quite a common occurrence so you might get to see something similar. The square is lined with loads of restaurants and shops to check out, so definitely take some time to walk all the way around the square and visit these. If you are feeling hungry I highly recommend trying the Inka Grill, especially if you want to try Cuy! 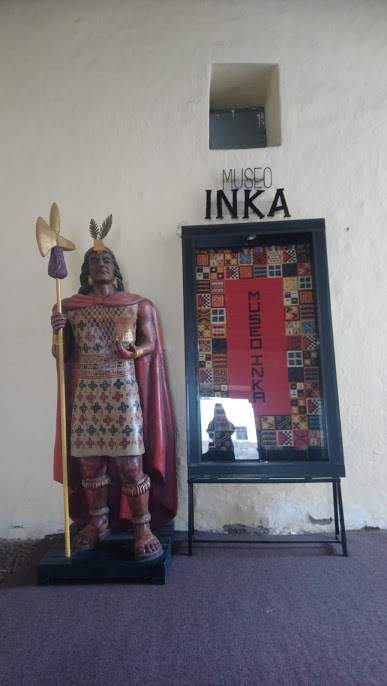 The Inka Museum is located only a short walk from the main Plaza and well worth the entry price in my opinion, at only 10 Soles (£2.50). There are plenty of displays showing a range of archaeological artefacts from the local area. It’s a great opportunity to take a look at some of the archaeology from the Inkan Empire and particularly from sites you might be due to visit or have already been to. All the displays had detailed information in Spanish and English which is always a great bonus as there is nothing worse than not being able to find out what something is. The Museum is housed in a traditional looking building and in the courtyard was a group of Peruvian women demonstrating how they weave in the traditional way, you can also purchase some of their products. 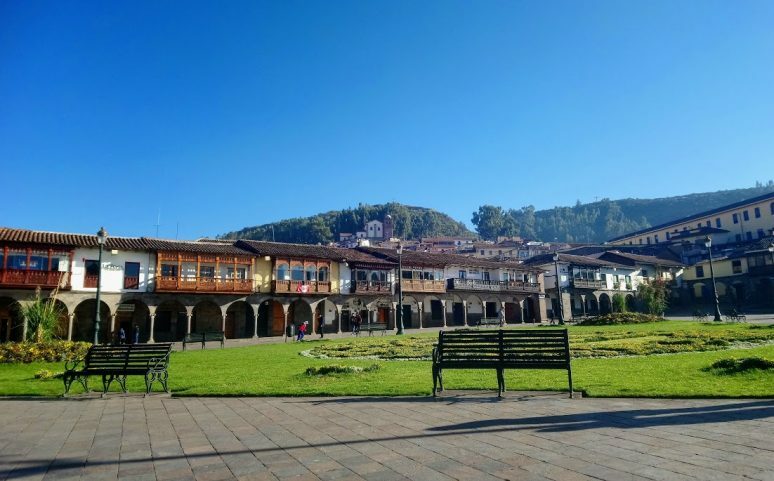 San Blas is a neighbourhood in Cusco that you can’t afford to miss, perfect to walk around at a leisurely pace and admire its traditional beauty. Just head northwards (and unfortunately upwards) from the Plaza De Armas and you will start to come across stone-cobbled streets. Making sure you stop and marvel at the 12 angled stone outside the Museo de Arte Religioso, an important piece of Incan architecture. The San Blas Temple is at the heart of San Blas which is small and understated but has a traditional look about it. This is aided by the presence of Peruvian women in their traditional dress with baby lambs and alpacas sat out on the steps hoping for tourists to ask for a picture with them for a small donation. I am not sure how many times I walked along Calle Tandapata which is the main street in the San Blas district. 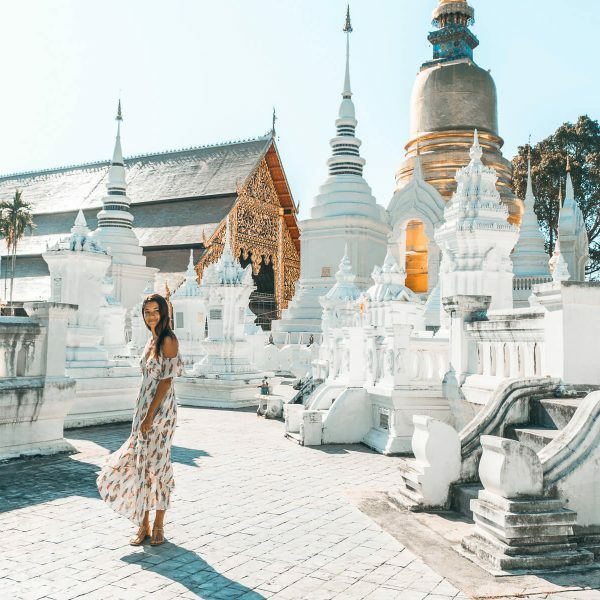 This is the place to go for a quirky place to grab some food or a quick coffee, where to find shops selling something other than the souvenirs you have been used to seeing everywhere else and where you can get those all-important Instagram worthy photos. Whilst in the Plaza De Armas it is difficult to ignore the surrounding landscape comprising vast mountains and hills. On one such peak you can just about make out a white statue, which is Christo Blanco. The walk to this statue is not for the faint-hearted and definitely make sure you have water with you. To start your ascent look for a set of steps behind the neighbourhood of San Blas and keep heading upwards through the local houses. The neighbourhood changes quite drastically from historic and quaint streets and buildings to local and relatively modern houses. 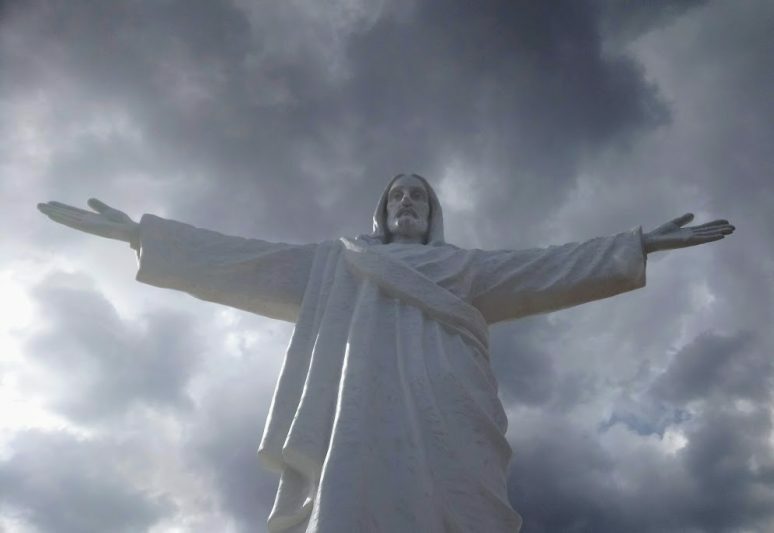 Once you reach the top it is just a short walk to the impressive towering statue of Christ. 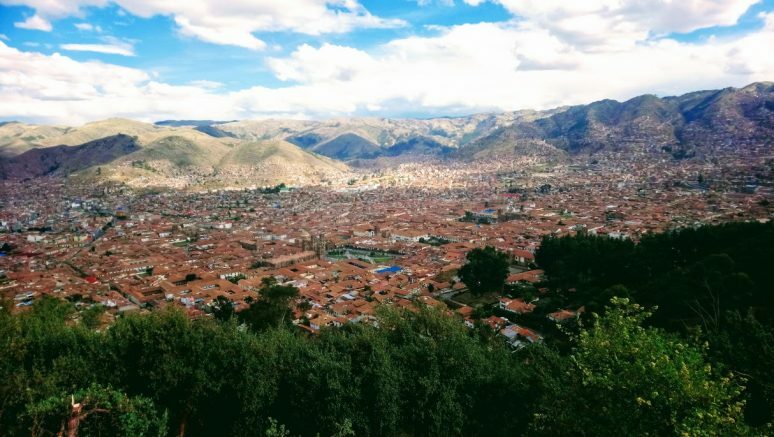 The view of the city from here makes the hundreds of steps worth it, the Plaza looks incredibly small from this spot and you get an incredible view of the mountains surrounding Cusco. You can also just about see the famous site of Saqsaywaman which if you have time you should also visit. Now, who can resist dinner with a view? I certainly can’t, and the Limbus Restobar has the best view in the city with some incredible food and drinks to match. I expected this place to be busy but thankfully I decided to eat early which meant no queues. I started off inside in their lounge area where I ordered a cocktail from their extensive menu, which offered traditional Pisco drinks but also more well-known cocktails such as Cosmopolitans which ranged in price from 15 to 22 Soles (£4 to £6). For food, I ordered cheese and chorizo Empanadas and some chunky chips which were incredibly good value for money at only 28 Soles (£7). To make sure everyone gets an opportunity to enjoy the view there is a list to put your name on and once someone leaves from the balcony the next group can move outside. Space outside is small but perfect with space to both eat and drink whilst you enjoy the view. The sun was setting and it was turning cold so I enjoyed a nice hot chocolate whilst taking some photos of the city in darkness. Absolute perfection. 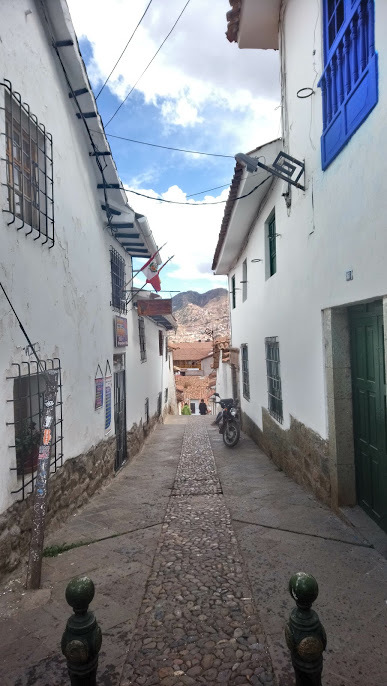 There is a lot more to do in Cusco if you are lucky enough to have more time to explore, and I would love to hear about your experiences in the city and whether you loved it as much as I did! Have you ever been to Cusco? If you have any questions or tips please leave these in the comments below. Such a great travel guide. This looks like a place I could visit, but I would want to spend more than 24 hours there. I really wish I had had more time here, there is so much more to do and explore. A good excuse to visit again maybe! So glad Cusco might now be on your travel list. Peru has so much to offer it’s such an incredible country.